An interesting thing about Dragon Quest III (originally released as Dragon Warrior III here in the States, and that’s how I played it) is that its world is modeled on our own Earth. Yes, there are some significant differences, but all the continents are still recognizable. The extra continent in the South Pacific is the Atlantis-like land of Aliahan, where your hero comes from. 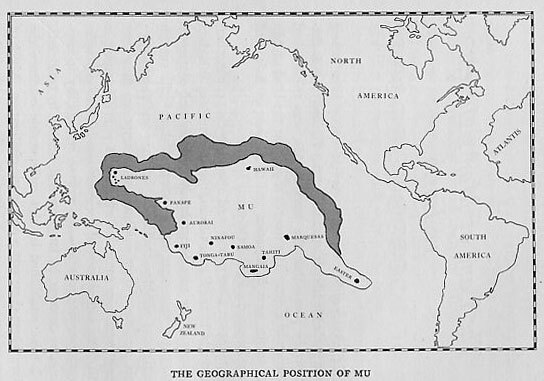 Actually, the location makes it more likely to be the equivalent of Mu, but it’s the same basic idea of a lost land with an advanced civilization that influenced cultures throughout the world. According to one of the people in the capital city, Aliahan once ruled over the entire world, but after a great war, it was sealed off. Other parts of the game refer to different legends and historical events, with no real regard for time period. The heroes facilitate the spice trade, bring settlers to North America, meet equivalents of Cleopatra and the legendary Japanese Queen Himiko, and slay the Yamata no Orochi. What I mean to highlight in this post, however, is a brief part of the game that seems to reference the legend of the Lorelei. If you visit the shrine on the Promontory of Olivia, you learn the story of a woman named Olivia who threw herself into the water when she found out that her love was lost at sea, and now lives on as a ghostly voice not letting anyone through the rocky channel. Your ship won’t get wrecked there, but the passage will be blocked. It turns out that Olivia’s lost love is a sailor named Errol. Eh, something like that. He’s apparently Eric in at least one of the remakes. Anyway, his story has a parallel to another real-world legend, that of the Flying Dutchman. While there are different versions of that story, the basic idea is that, due to careless talk and/or action on the captain’s part, the Dutch ship is cursed to sail around the world for eternity. In the game, a ghost ship randomly sails the seas, and can only be located with the sailor’s thigh bone, an item obtainable from the Wizard of Greenlad. On board are a lot of monsters and some ghostly sailors, as well as an item owned by Errol called the Locket of Love. If you use the locket at Olivia’s channel, the two spirits will be reunited, and the passage will be clear for sailing. Don’t you just love ghost stories with a happy ending? EDIT: One thing I didn’t think of at the time but that seemed pretty obvious when I saw it mentioned somewhere is that the characters were probably named after Errol Flynn and Olivia de Havilland. 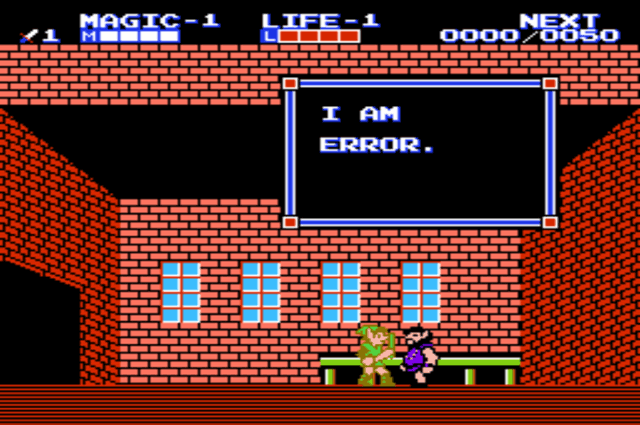 Oddly, the Game Boy Color version changes Errol’s name to Eric. Due to the skewed world map, it’s not entirely clear where the Promontory of Olivia is supposed to be, but it looks like it would have to be somewhere around where the former Soviet Republics are today, hence not all that close to the actual Lorelei in the Rhine River. Then again, the creators had to take game mechanics as well as correspondences to real-world places into account. I guess the writers didn’t bother to research any African legends, as they ended up filling up much of that continent with the monster-filled Necrogond. A reference to the old nickname of the Dark Continent, perhaps? By the way, the shrine music from this game is one of my favorite video game tunes, so here it is for your listening pleasure. Well, maybe “pleasure” is the wrong word. It’s quite possibly one of the saddest-sounding pieces of music to appear in a game. This entry was posted in Dragon Quest, Music, Mythology, Video Games and tagged aliahan, atlantis, cleopatra, dragon quest iii, dragon warrior iii, eric, errol, greenlad, himiko, locket of love, lorelei, mu, necrogond, olivia, promontory of olivia, shrines, yamata no orochi. Bookmark the permalink. Interesting! It seems like the Dragon Quest series follows mythology a lot closer than Final Fantasy or any of the equivalent series. I never really knew much about DQ until recently, and I still don’t know that much, so I’ve never played any of the games. 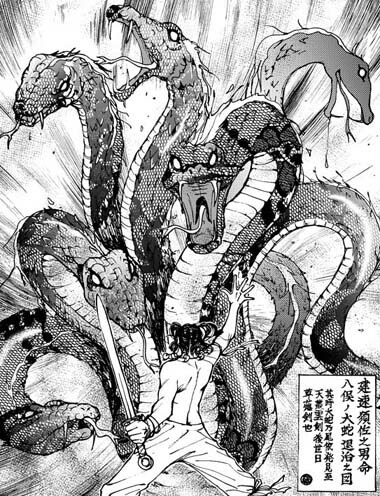 Both series use mythology, but perhaps Dragon Quest tends to stay closer to the sources? I don’t really know. I do think the series tends to stick to the same basic themes in every game, while Final Fantasy changes a lot from one game to another. I guess what I mean is, Final Fantasy takes random monsters from different mythologies and from D&D and throws them into one big pile without really going into why those monsters are there or what they all have to do with each other. You’ll see a Greek monster alongside a Japanese monster rather than all the Greek monsters living on one island and all the Japanese monsters on another. I think FFXI and FFXII and the first Final Fantasy games to give their monsters backstories. 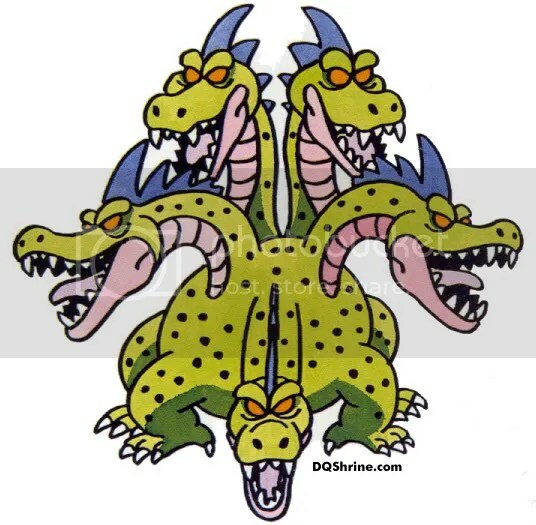 I’m really not sure how well the Dragon Quest games differentiate their monsters from different traditions. 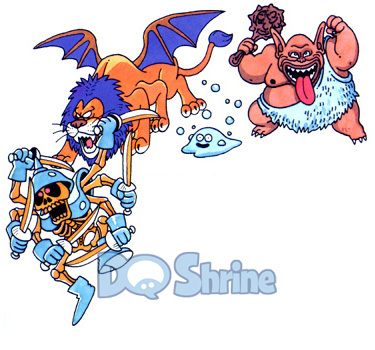 I do, however, appreciate that the DQ series has certain types of monsters that appear in pretty much every game. That’s less common for FF, although I guess the Cactaurs, at least, have become standard.